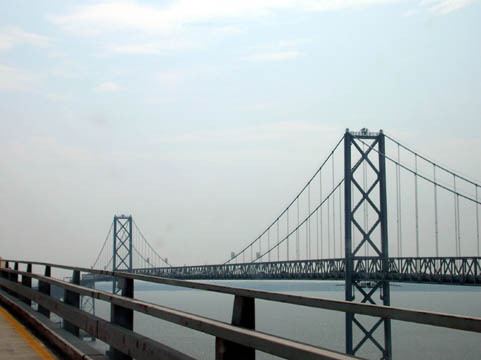 The enormous Chesapeake Bay Bridge, seen while traversing it. 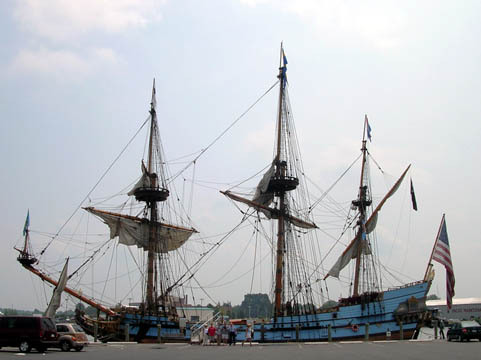 The Kalmar Nyckel, visiting Cambridge from Delaware, docks on the Choptank after sailing through the bay. 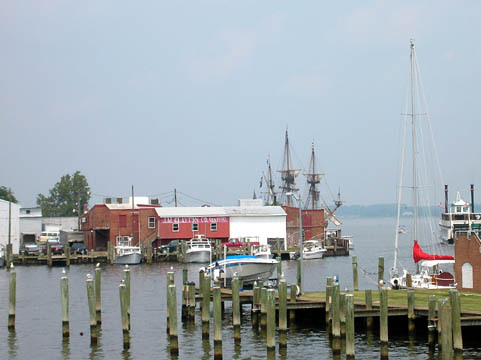 I love that there is a seagull on each of the posts in the foreground. 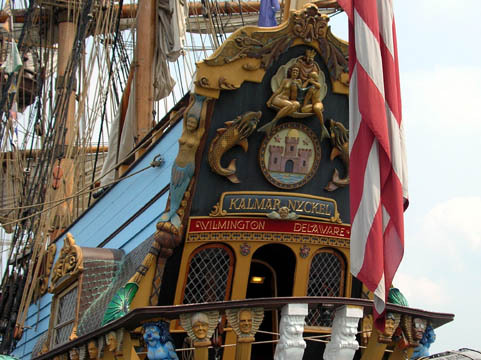 Broadside view of the Kalmar Nyckel, which for some reason was flying the Jolly Roger above the American flag. The detail on this ship's stern carvings is gorgeous. 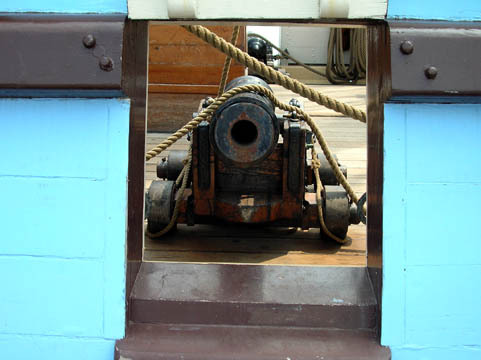 Here you can see two of her guns through one gunport. 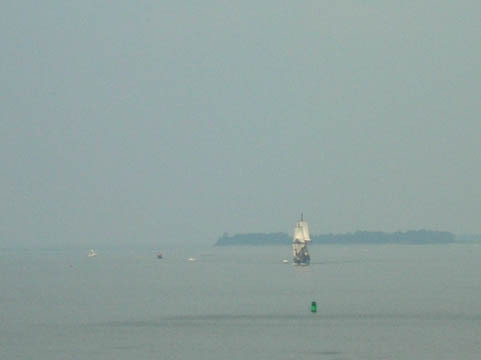 Here, seen from the distance approaching the bridge to Cambridge, is the Kalmar Nyckel under sail. 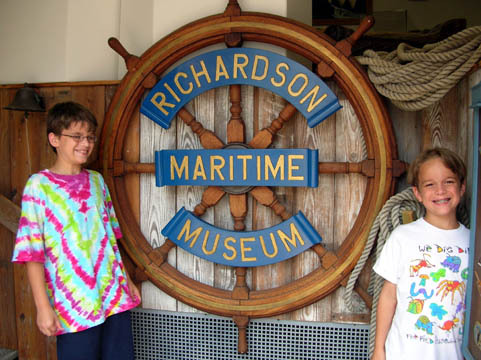 Daniel and Adam at the entrance to the Richardson Maritime Museum. 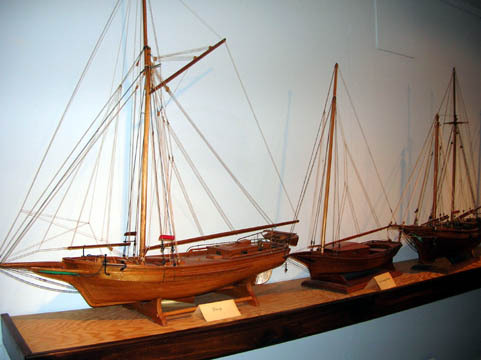 Models of skipjacks, bugeyes, pungys, buyboats, clippers and historical ships built by the late John T. Adams line the walls of the vault at the museum, which now occupies a building that was once a bank. 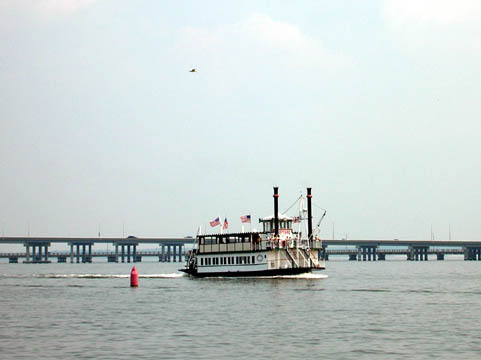 A steamboat travels past the Choptank River bridge just beyond Cambridge.